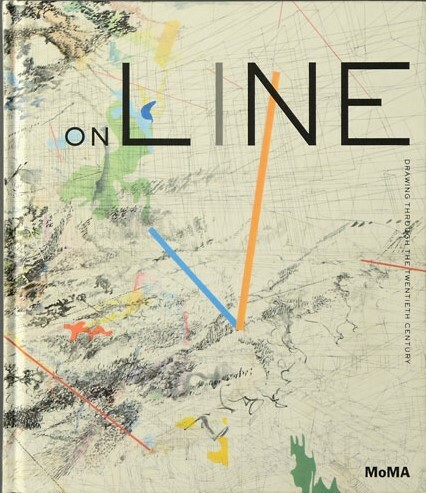 On Line: Drawing Through the Twentieth Century (2010 – 2011). Exhibition at The Museum of Modern Art New York. Notes below from the MOMA website. 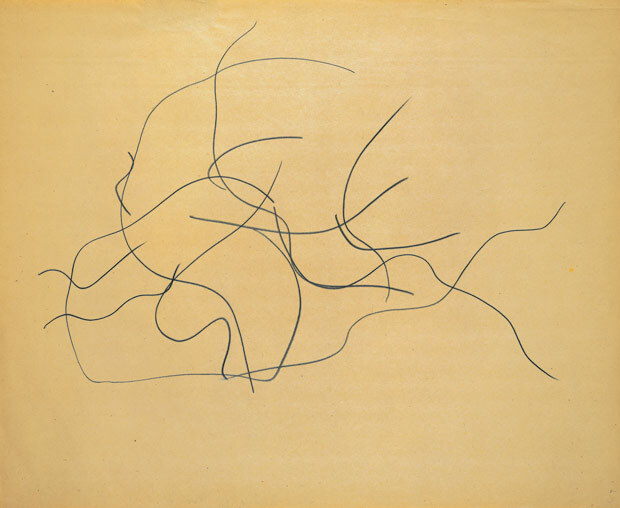 On Line explores the radical transformation of the medium of drawing throughout the twentieth century, a period when numerous artists subjected the traditional concepts of drawing to a critical examination and expanded the medium’s definition in relation to gesture and form. 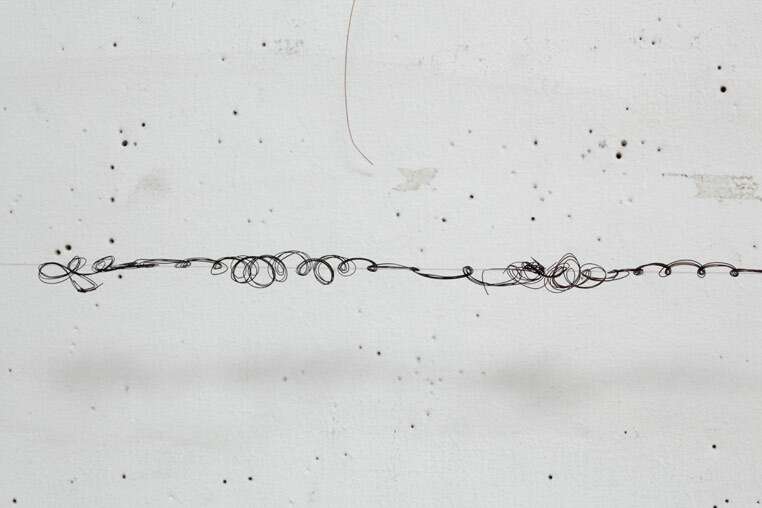 Drawing conventionally has been associated with pen, pencil, and paper, but artists have drawn lines on walls, earth, ceramics, fabric, film, and computer screens, with tools ranging from sticks to scrapers to pixels. Looking beyond institutional definitions of the medium, On Line (on view from November 21, 2010 to February 7, 2011) argues for an expanded history of drawing that moves off the page into space and time. Comprising the work of more than one hundred artists, the exhibition charts the radical transformation of the medium between 1910 and 2010, as artists broke down drawing to its core elements, making line the subject of intense exploration: as the path of a moving point or a human body in motion (the dancer tracing dynamic lines across the stage, the wandering artist tracing lines across the land), as an element in a network, and as a boundary—political, cultural, or social. This section explores the drive to construct and represent movement through line within the flat picture plane. The final section work where artists push their lines into the “real” world. The course directs us to look at the work of particular artists in this exhibition. The work (in this particular exhibition) of these selected artists are analysed below. 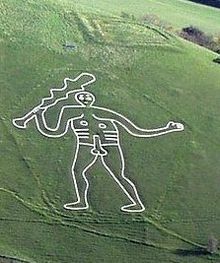 The website noted (and branches from it) was used to obtain the images as well as info on both the works and artists. The first three artists noted Robert Rauschenberg, Ellsworth Kelly, and Cy Twombly focused their attention on the dynamics of the line itself, with themselves removed from its authorship. Rauschenberg had artist John Cage drive his car, a Model A Ford through a pool of paint in a straight line along a long strip of paper. The tire (tyre) leaves a direct record of its passage on the paper. Like much of Rauschenberg’s work it was pioneering and was the beginning of a new art-form which blended elements of performance with ready-made objects. 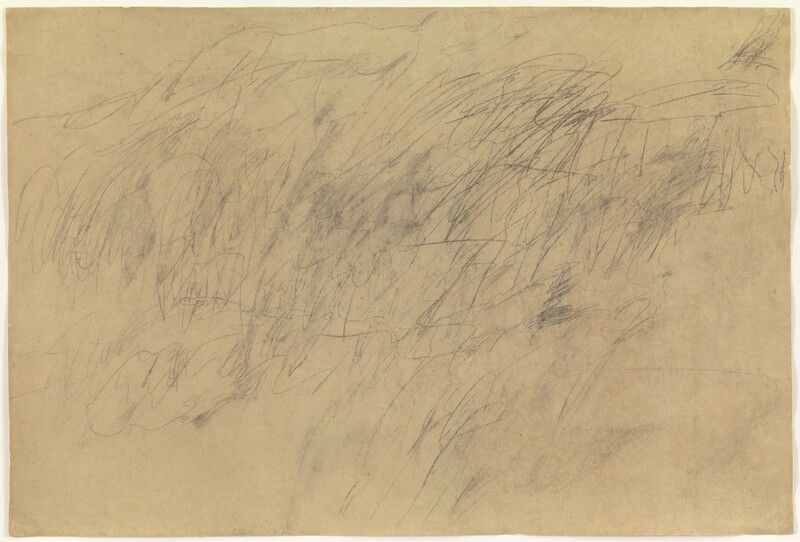 Twombly has used a pencil to make extensive marks on paper. None of these represents anything, much like Pollock’s painted marks he uses the process to create something rather than set out with the intention to produce a drawing of a particular object. 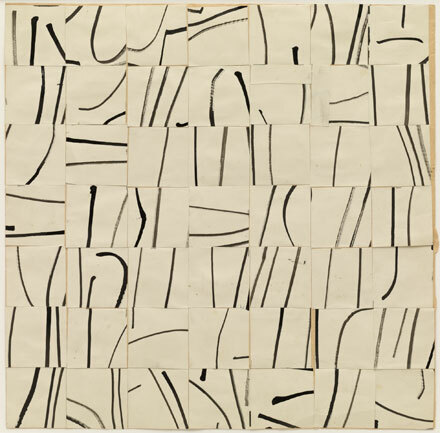 Kelly cut various painted lines in small square elements and then assembles them in a manner to avoid any direct meaning. Again, like Rauschenberg, Twombly and Pollock these auto marks produce an image with the specific intention of it not resembling an object! This automatic drawing was produced without conscious thought or deliberation. Such artists believed that their unconscious thought directed the and influenced the line. The title is generated after the drawing is completed using the resemblance of it to an object and then titling it after this object. The interests next two artists, Eastern Europeans, Krasinski and Malich, lay with radical and non-formal experimentation. Malich’s wire works were conceived, he has said, as “the expression of a new space and the investigation of it.” Although he has never realized any of them on an architectural scale, that aim has been part of his project: at once cosmic and utilitarian, his sculptures of the 1960s were created as designs for utopian cities in some imaginary future. He continues to think of his later tied-wire constructions as models for large-scale outdoor projects shaped by forces of light, air, and water. 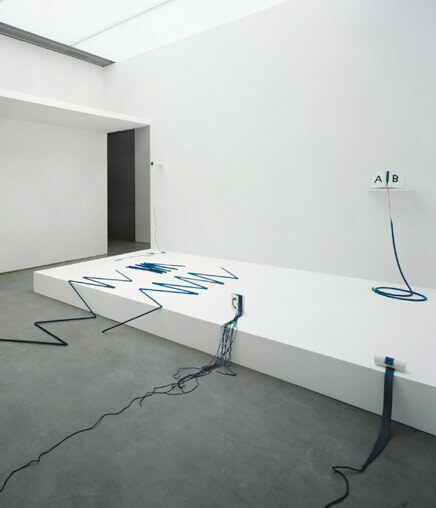 Noted from MOMA website: “Krasiński was a leading Polish Conceptual artist, known for his extensive use of blue lines of tape, cable, and other materials. This installation re-creates Krasiński’s contribution to the 1970 Tokyo Biennale. The works, as seen here, were exhibited for only the last three days of the month-long event, as they had been misdirected in their shipment from Poland and arrived late. The artist supplied a substitute work in the interim, transmitting the word blue five thousand times via telex (a precursor to the fax machine) and instructing the Biennale’s curators to display the telex tape on a pedestal. “My art just needed to get to Japan as quickly as possible,” he said. “Instead of the two-month sea voyage, it got there in seconds. It was delightful to think that when the telex in Warsaw was typing ‘BLUEBLUEBLUE’ the very same moment the tape appeared in Tokyo.” .” (MoMA.org. 2018). Bloch’s preoccupation was with the materialistic nature of the line itself its 3-dimensional form and its presence in real space!. Reviewing the artists and the work of this exhibition has further influenced my original ideas that a drawing is a mark on a page. I now realise that a drawing can be many things and in fact is probably impossible to give a firm definition that would cover all instances of the forms of drawing. Drawing is many things including works such as a line on a page a line detaching itself from the page and moving into the space which by previous definitions was the space of the viewer. A rough definition of a drawing is a physical manifestation of an artist’s idea. This can be a single mark on a sheet of paper of a multitude of materials tumbling around in and out of a building on a huge scale. 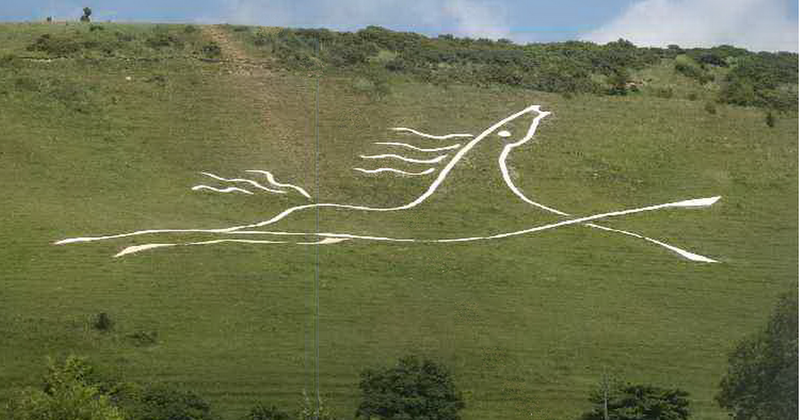 It can the cuts into the chalk down-lands to show a fertility man or a horse. MoMA.org. (2018). 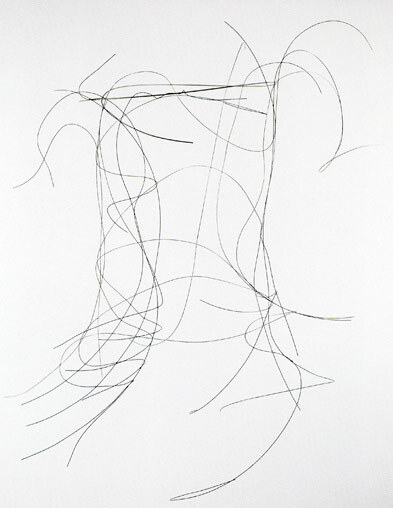 On Line: Drawing Through the Twentieth Century. [online] Available at: https://www.moma.org/interactives/exhibitions/2010/online / [Accessed on 20 Feb. 2018]. The Museum of Modern Art. (2018). On Line: Drawing Through the Twentieth Century | MoMA. [online] Available at: https://www.moma.org/calendar/exhibitions/970 [Accessed on 20 Feb 2018].